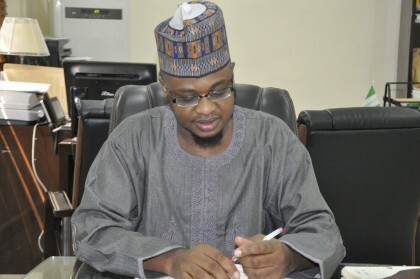 The Director General National Information Technology Development Agency (NITDA), Dr Isa Ali Ibrahim (Pantami) reaffirms his support to promote capacity building, ICT Innovation and Entrepreneurship which is one of the mandate of the Agency. The DG made this known when the management of “Computer & Allied Products Dealers Association of Nigeria (CAPDAN) paid a courtesy visit at the Agency Corporate Headquarters to solicit for support in the establishment of an ICT Hub in Computer Village (Otigba)Lagos. The President CAPDAN Mr Ojikutu Ahmed called on the Management of the agency to pay a courtesy visit to computer village so as to have a ground assessment, and witness the enterprising nature of the teeming youths of Nigeria. CAPDAN? A technology entity without an ordinary website? Yeah right!